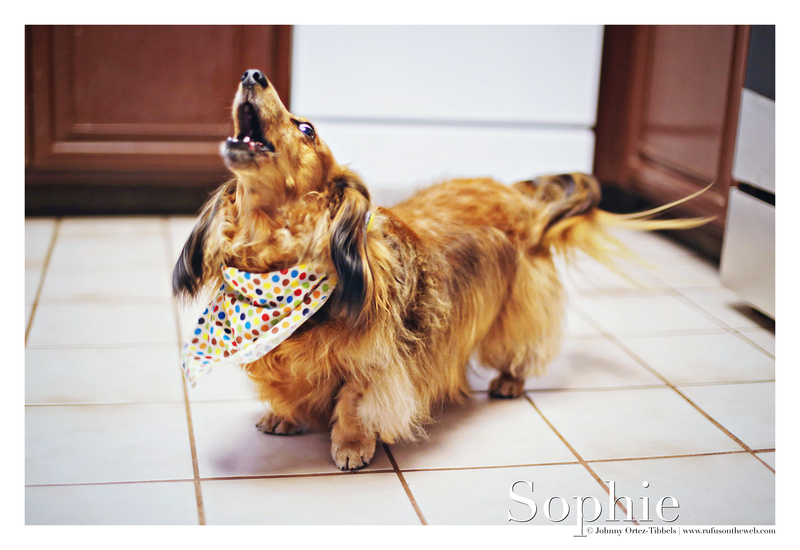 Sophie has known us since she was a puppy, and she gets excited when we see each other – especially after extended periods of time apart. So for the record we are familiar old friends. Be that as it may, when Sophie’s human leaves her with us, Sophie is very vocal about her disapproval; she really dislikes being left behind. 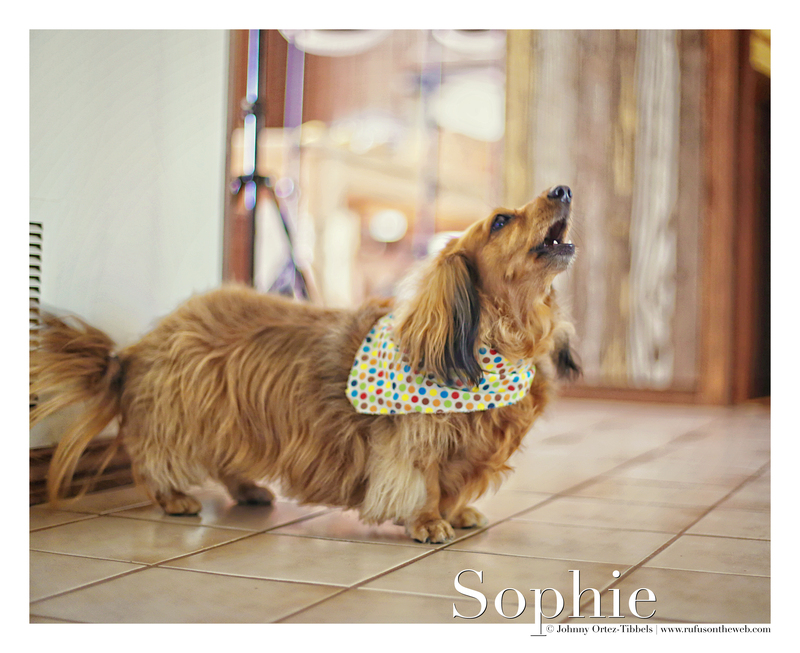 Sophie will whine, bark and howl. Luckily as a fellow dachshund human, I find it endearing and sweet. She usually stops after a while. I recorded the video for her human; so she could see what Sophie is like when she’s not around. It’s funny how our dogs exhibit different personality traits in our absence. I’ve heard from friends that Rufus can be really needy and clingy when I’m not around. Luckily we’re not apart very often (by design). Enjoy dachshund friends and have wonderful day. This entry was posted in Rufus' Friends and tagged #ADachshundsLife #HappyHounds, #AdventuresWithDachshunds, #dachshund, #DachshundPhotography #DachshundArt #OriginalPhotography, #DachshundTV #DachshundVideos, #HowlingHound, #WienerDogs #HotDogs, doxies, longhairdachshund. Bookmark the permalink.